Whenever I talk to relatives or family friends about music, I’m often besieged with the common complaint of how “they just don’t make music like they used to.” It’s true that many new genres and subgenres of music have developed over the past several decades, but if people are complaining about the lack of “old-school” music in the modern day, then it’s clear they have not heard about Sharon Jones and the Dap-Kings. Grammy nominee and subject of acclaimed documentary Miss Sharon Jones!, Sharon Jones had an awe-inspiring career as a soul singer before her tragic death almost exactly one year ago, on November 18th, 2016. Jones and the Dap-Kings released seven studio albums over the course of 17 years, each one encapsulating the raw, Aretha-like authenticity that Jones made a standard in her work. The release of the group’s newest album Soul of a Woman almost exactly one year after Jones’s death is a sad yet significant reminder of the inspirational power possessed by this incredible woman. Soul of a Woman relates directly back to the title as a reflection of album’s thematic context. The tracks vary in subject matter, ranging from elements of love and break-ups to the importance of hard work and in some cases even religion, yet they demonstrate the day-to-day experience of a modern woman. Every lyric of this album is relatable to a level that is almost uncanny. While listening through this album for the first time, I often found myself believing Jones was singing directly to me about own experiences — something I can honestly say I’ve never experienced before. The album begins with the strong opening of “Matter of Time,” a song rich with gospel-influenced call-and-response elements. The simple harmonies add invigorating, but not overpowering, dimension to Jones’s dominant voice. The track is upbeat and light-hearted and sets the listener up for what seems to be a fun, bluesy journey. Interestingly though, this is not the case; while many of the earlier songs on the album are upbeat, the tempo goes through a notable downwards trend as the album progresses, with songs becoming more impactful in terms of orchestration, shifting genres from blues to soul to gospel, and finally coming to rest with its inspiring terminus “Call on God” and its optimistic chorus “Call on God/and He’ll carry you through.” It carries the message of Soul of a Woman in a soft yet powerful manner and is the perfect closing to an album about love and loss. The climax of this album, in my opinion, comes with the second to last track “Girl (You’ve Got To Forgive Him).” Jones takes on the role of an instructive friend: her vocals, laden with intense emotion, are laid over heightened orchestral sound, which will leave this song echoing in the listener’s mind for the rest of the album’s duration. If you’re looking for an empowering album that perfectly captures the spirit of ’60s and ’70s soul, then this album is a must. Soul of a Woman not only succeeds in proudly carrying the torch of what many incorrectly consider to be a dying genre, but also encompasses the enormous spirit of Sharon Jones herself. This entry was posted in Reviews and tagged Daptone, Madison Palmer, Sharon Jones and the Dap-Kings, soul on November 17, 2017 by CKUT Music Coordinator. 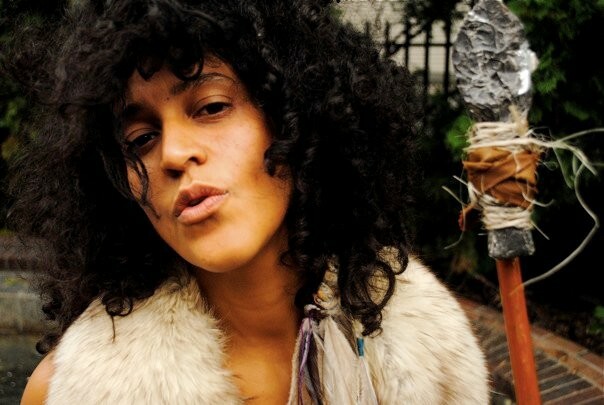 Queen Alone is the second solo studio album from American R&B singer Nicole Wray, and her first album under the name “Lady Wray”. Eighteen years since her first album, Make It Hot, Wray has a new record company, a new producer, and a new sound. Make It Hot was part R&B and part hip-hop, with heavy drum beats and frequent features by album producer and rapper Missy Elliot. 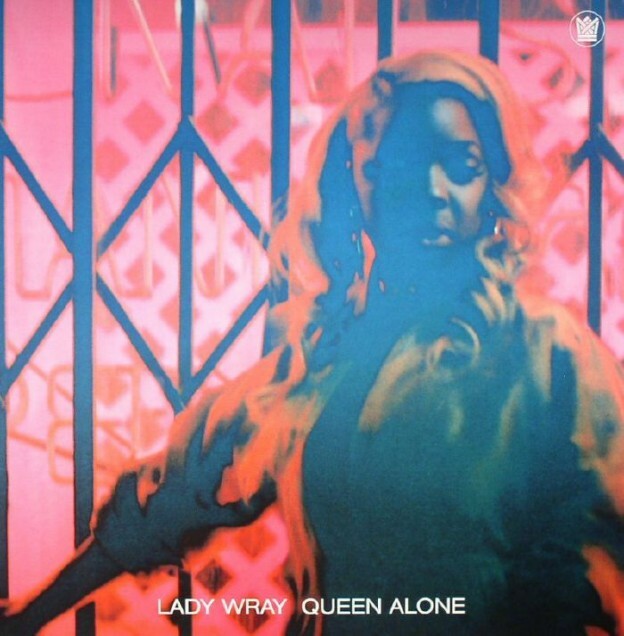 Queen Alone presents a more mature, classic R&B sound that puts the focus on Wray’s powerful vocals. Most of the songs on Queen Alone are old-school R&B. Simple instrumentals are punctuated by trumpets and background vocals heavily influenced by gospel, a side effect of Wray’s church upbringing. This can be seen in tracks such as “Do It Again”, “Guilty”, and “Make Me Over”, nostalgic tunes about love and loss. As the album progresses, however, the songs begin to bring in elements of other genres. “In Love (Don’t Mess Things Up)” features a folksy instrumental not typically seen in R&B, providing an interesting contrast to Wray’s vocals. “It’s Been A Long Time” is reminiscent of the Jackson 5, bringing in more of a pop vibe. The tracks “Cut Me Loose” and “Underneath My Feet” delve into rock, with heavy guitar and drum beats. Finally, “They Won’t Hang Around” brings back memories of classic Amy Winehouse hits such as “You Know I’m No Good”. With elements of so many different genres, Queen Alone runs the risk of sounding like a collection of single songs rather than an album. However, the R&B undertones of every song, combined with Lady Wray’s powerful vocals, give the album the necessary cohesiveness. Queen Alone is remarkable different from Lady Wray’s first album. Her new sound emphasizes her incredible voice instead of relying on the heavy backbeat and hip-hop elements of Make It Hot. Wray’s return to a more classic R&B sound suits her well, and is a great listen for anyone looking to reminisce about the old-school days of R&B. This entry was posted in CKUT programming and tagged Album, album review, lady wray, missy elliot, new music, queen alone, r&b, soul on November 24, 2016 by librarian. a k u a is playing live in studio Tuesday, January 17 from 8h30-9h. She’s a local emerging musical talent whose lyrics and melodies will keep bouncing around between your ears long after you hear them. Find more of her music here: myspace.com/akuaunplugged. This entry was posted in CKUT programming and tagged CKUT 90.3FM, dragonroot, female, funk, r&b, soul on January 16, 2012 by admin.